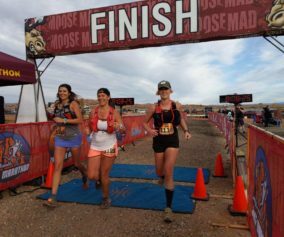 This is the first article in a series I am writing for the beginning ultrarunner. I believe that many people who regularly read Trail and Ultra will find the information valuable. If you are one of those people, leave a comment below. I’d love to hear from you! 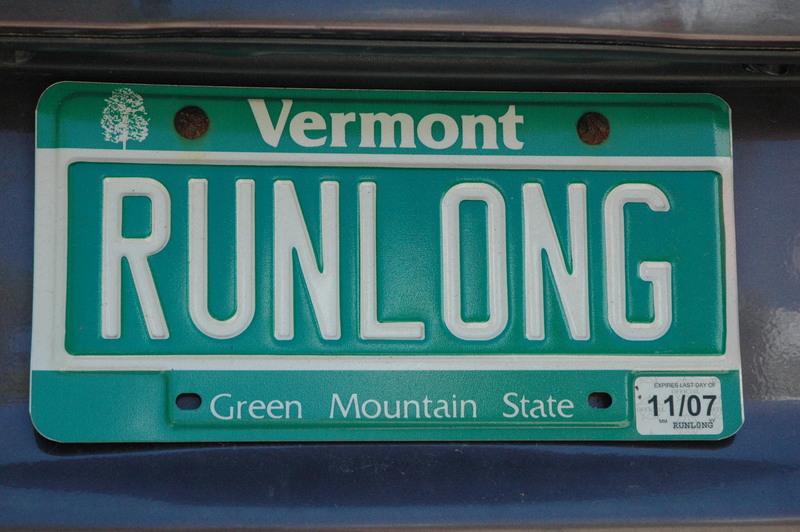 Ultrarunning has a lot of cool optional equipment. From trekking poles to hydration packs to GPS watches, I’m sure it can be quite daunting for the new ultrarunner. While new equipment can be fun, it can also be expensive and unnecessary. 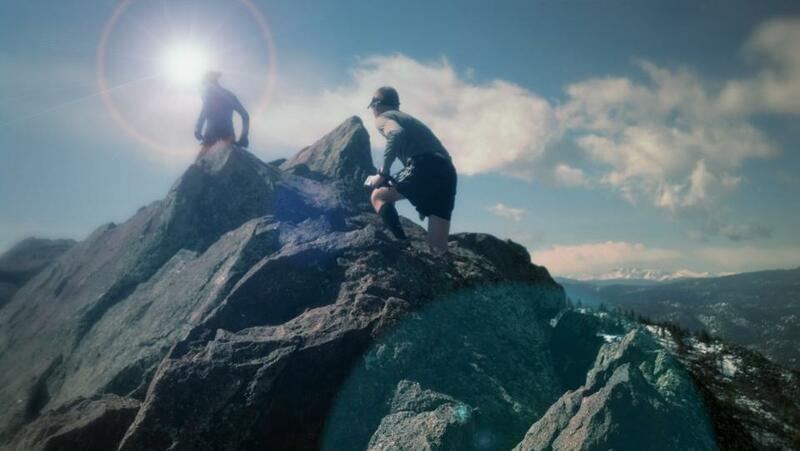 The difficulty is that experience is the only way you will truly learn what you need or don’t need on the trail. For most ultras, it is vital that you can carry enough hydration/nutrition to run a couple hours without aid. 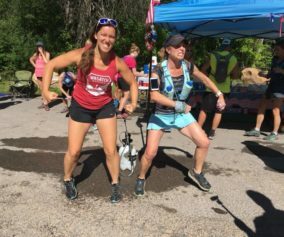 Aid stations can vary but almost every race will list the details about where aid stations are on their site. The biggest mistake runners make is either relying on the information too much, or not reading it all. In training, you should carry the same equipment you plan to use for your key event. Outside of my years of running ultras, I’ve also had the opportunity to observe a great deal as a volunteer in various distances of ultra. 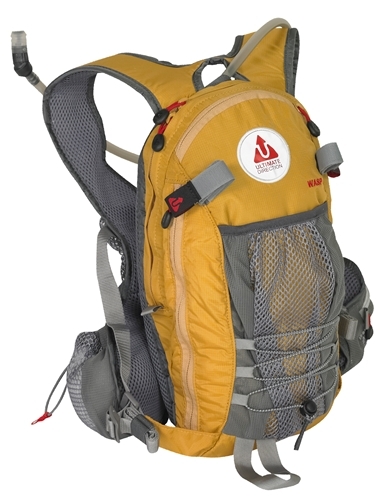 Very often, I see runners with large complicated hydration packs. After a few hours of running, these packs become quite heavy. The runners often have difficulty opening the pack or keeping track of their intake. Another mistake is filling a pack with sugary electrolyte drink and having it spill all over the inside of the pack or your clothes while running. 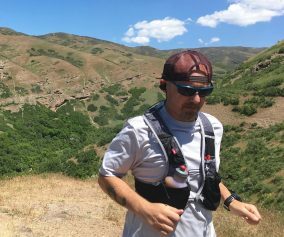 Recently, I was running 20+ miles with a new ultrarunner. He was slowed significantly by his large pack and complained of pain to his chest after 3 hours. I offered to carry the pack for the last 5 miles. Later that week, he wrote to tell me he invested in a lightweight pack and feels like a tiger on the trail now! There are a few handheld bottles that stand-out amongst the rest. I think you would be happy with handhelds by Ultimate Direction, Ultraspire, or Amphipod. The bottles holders themselves often come with a built-in pocket which is handy for 2-3 gels. Over time, you will associate the duration of your run with the number of bottles required. Of course, weather is a big factor…but you get the idea. The benefit of the handheld bottles is found in their size. A clear bottle provides a visual clue to your intake. Having the bottle in your hand makes it extremely easy to just lift it up to your mouth and drink. On approach to an aid station, you can dump whatever you have in the bottle and then properly mix a fresh bottle as you enter the aid station. I often hear new runners say, “I don’t like carrying anything in my hands.” Well, to point out the obvious, it is uncomfortable because you have never run with anything in your hands. Additionally, I don’t think “comfort” is the ultimate goal in running ultra distance, so give handhelds a try. 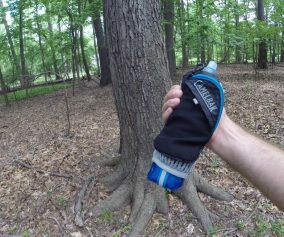 Handhelds provide many advantages over hydration packs but until you give both a try, you cannot see the benefits. Honestly, I don’t even want to go into this one. The only thing I will say is that, “Less is more.” Having flexibility in your shoes is important and, if you over-protect your feet, you are prone to an injury. I’d recommend lightweight, flexible footwear that still provides enough protection from the terrain you are running upon. In my first few years of running ultras, I wore heavy protective “trail shoes”. This led me to really painful experiences with Plantar Fasciitis (PF). I eventually learned that my PF was caused by the inflexibility of my shoes and since then, you will find me running in lightweight, flexible shoes. Personally, I am grateful to the barefoot enthusiasts for prompting the development of so many “minimalist” shoes. 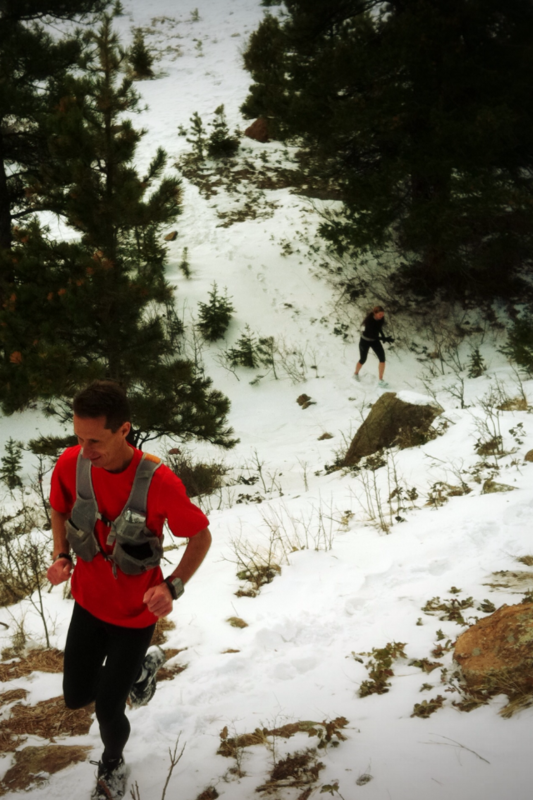 Running gaiters have become synonymous with our sport. There are several companies who make quality running gaiters. 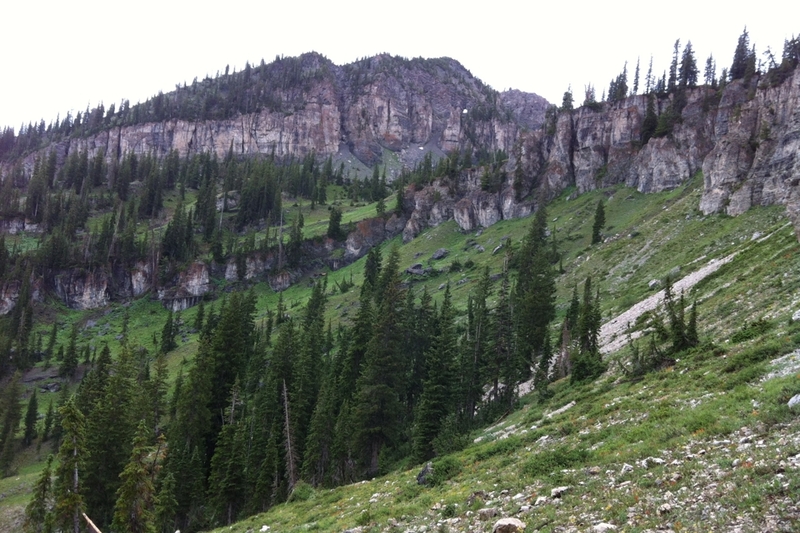 I’ve had personal experience and recommend those made by DirtyGirl or Mountain Hardware. These gaiters are lightweight and inexpensive. They come in all types of designs so you can share your friendly and eccentric personality despite looking and feeling like death in the later stages of a race. Lastly on gaiters, practice with them. It can be tricky to figure out how to properly attach gaiters so they don’t become dislodged from your shoe. Because every shoe is different, you may have to develop your own method for attaching the gaiter to the shoe. This can include shoe glue, heating, or tape. The next article will focus on general training technique. It will include information on mileage, long runs, weekly mileage, training pace, and use of the digital scale. If you’re enjoying Trail and Ultra, please help us out and share with others! Great article Jerry! I’m glad that I followed your advice to ditch the large hydration pack. 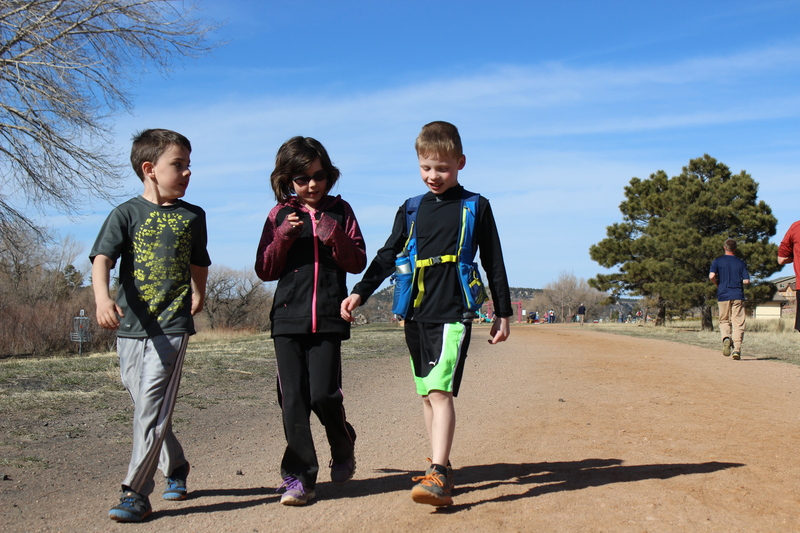 See you on the trails! Any thoughts on belts? 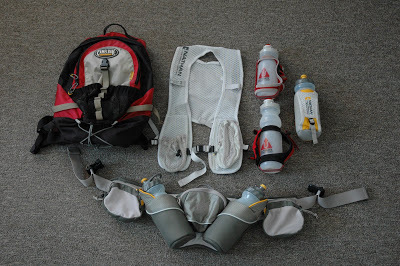 When I first learned of Ultra Running most of the runners I knew used bottles in belts. It never felt comfortable for me, but it seems to combine the benefit of bottles with a hands-free experience. On belts, yes.. I think if you find the right one, they can work well. It’s all about testing it thoroughly though. The same companies offer well constructed belt packs. 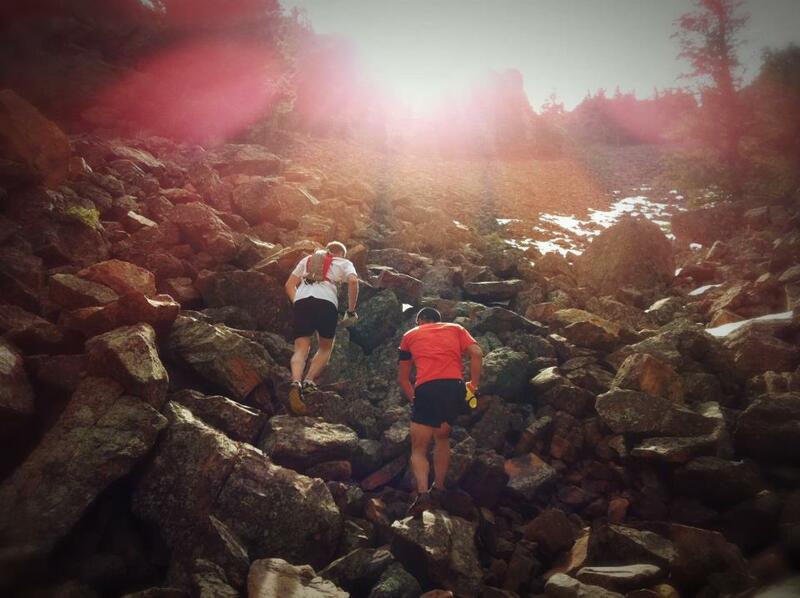 As a relative newby to trail running, is very helpful…thanks!